Is The Haze Back? Useful Tips for All of Us! | JustRunLah! As of this morning, based on the National Environment Agency, the 1-hour PM2.5 showed that the air quality in North Singapore 124, West Singapore 181, Central Singapore 64, East Singapore 47 and South Singapore 82. A good air quality PSI reading should fall between 0-50. So yes, it does seem like the haze is back and we, as much as you do, hope the haze is just here for temporary and will be clearing away from Singapore anytime soon! With a high moderate to low unhealthy air quality, the health effects vary from person to person, depending on their health status and length of exposure outdoors. People with existing respiratory conditions, allergy to dust or smog particles, chronic lung or heart disease might experience some discomfort at the current state of air quality. The elderly, children and pregnant women should also avoid prolonged or strenuous outdoor physical activities and head for regular medical checkups. Yet, we should not stop having an active and healthy lifestyle even during the haze period. Here we have some useful tips for EACH of you! 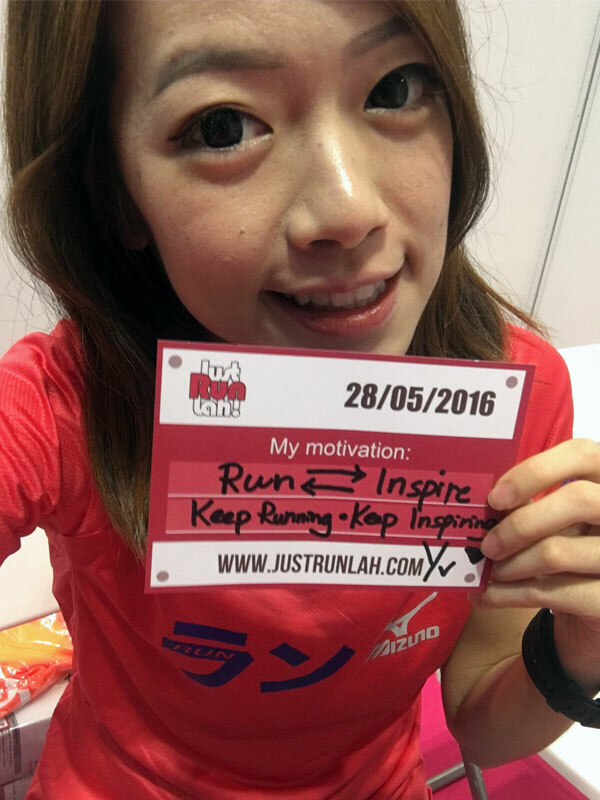 We recommend all fellow runners to stay indoors with your loved ones when the PSI level is high. 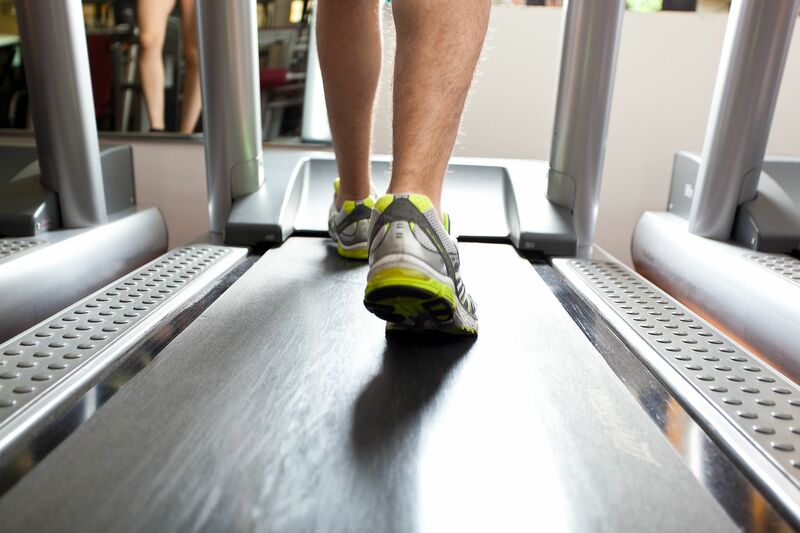 In times like these, our treadmills become our best friends because they seem to offer the next best alternative for runners where they can still continue with their trainings, minus the haze and unfortunately the fun as well. Moreover, runners can head for cross-training activities that offer the same level of intensity as running such as spinning classes, yoga, zumba or even swimming. To find out where is the nearest and most ideal indoor sports facilities, gyms and fitness events, use our gym listing and fitness events calendar! 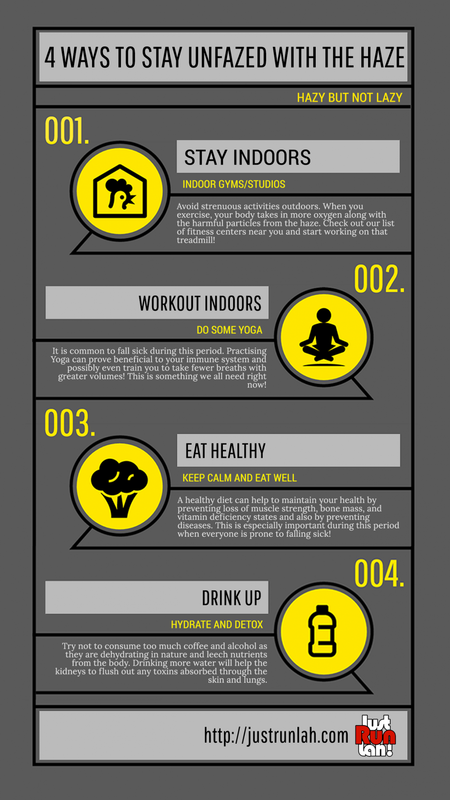 Here are 4 ways for you to stay unfazed with the haze! 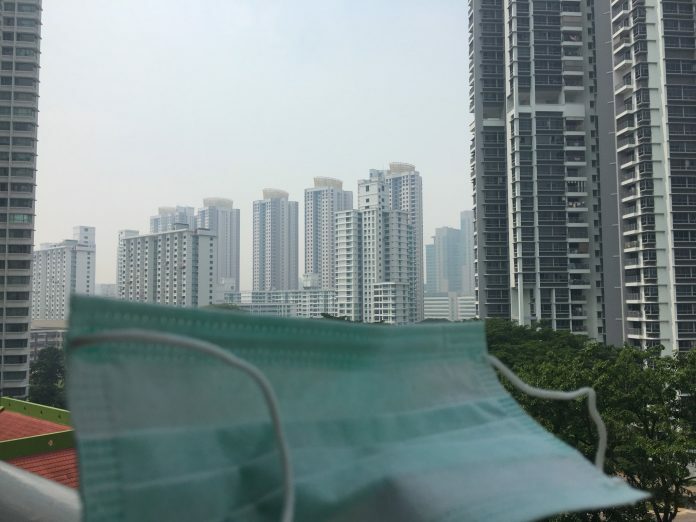 Unidentified Haze in Singapore – What Now?